Impunity is defined as exemption from punishment or freedom from the injurious consequences of an action. It is used to refer to people who get away with committing serious crimes but are allowed to escape any prosecution or any form of accountability. It is widely used to refer to crimes committed by military and security forces. I have previously argued that the reason why security and other government officials continue to commit crimes over and over again is because of impunity. They know that everytime they commit crimes they will get away with it. We have a history of impunity in Zimbabwe. The Rhodesians had a law that indemnified their officials from the consequences of any unlawful acts. It is widely documented that atrocities were committed against innocent civilians by both the Rhodesians and the liberation armed movements. In 1980, Lord Soames also issued a blanket amnesty to all sides for atrocities committed during the war. What followed were even more heinous atrocities by the Gukurahundi (5th Brigade) and to a lesser extent by the dissidents. Another amnesty was issued in 1987 providing impunity to both. After Kombayi was shot and left for dead by CIO operative, Kanengoni (later CIO Director General) and another, who were later convicted for attempted murder, President Mugabe pardoned him, again providing him with impunity for his crime. Mugabe also pardoned perpetrators of violence against MDC supporters. There have been many other cases where corrupt officials from the Willowgate Scandal like Frederick Shava, then Minister and now Ambassador, were also pardoned for corruptly abusing the vehicle scheme. 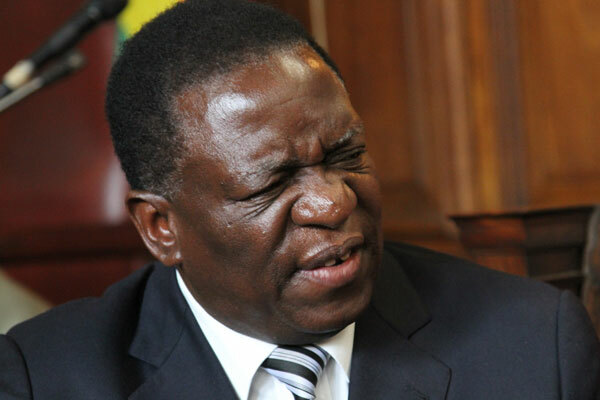 Last week, President Mnangagwa promoted the commander of the unit that has been now found by the Montlhante Commission to have shot and killed 6 innocent civilians in Harare and injured many others. The doctrine of command responsibility provides that a commander who either ordered an unlawful act or knew and failed to prevent or punish subordinates who committed it is liable in international criminal law. The Commission has recommended that perpetrators of the killings should be brought to account. The promotion of the General should have waited until the issue of the liability including based on command responsibility is resolved. Otherwise, it looks again like impunity has triumphed.